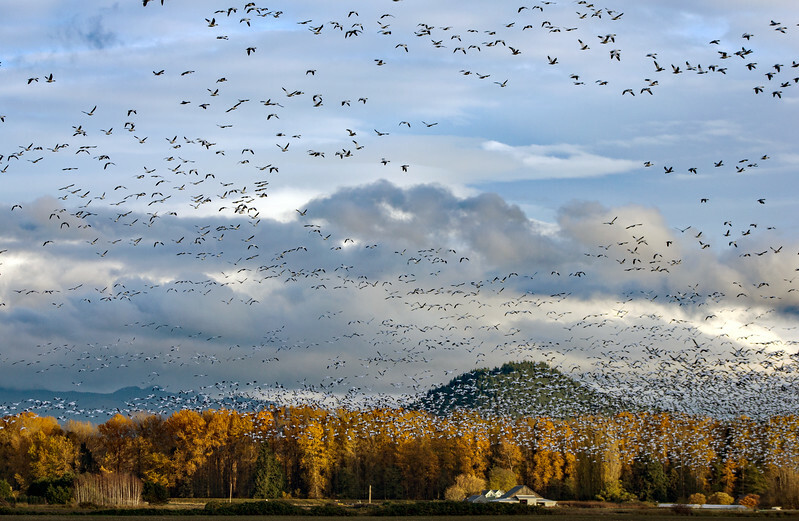 Another view of the migrating snow geese. The leaves have all disappeared since this was shot. I remember how the low afternoon sun emphasized the gold tones. It was such a beautiful day.